The latest release from Balvenie is this 15 year old expression which has spent its entire life in former sherry casks. 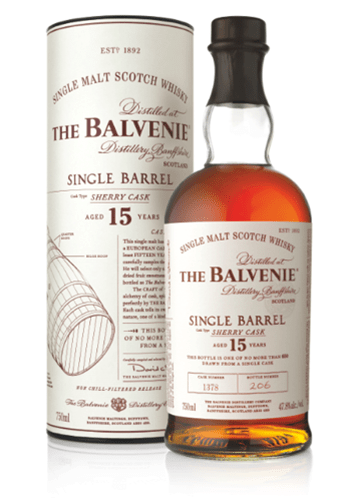 It is also a rare single cask release (Balvenie is the only distillery that has an ongoing single cask release of a single age as a part of its range), so you’ll find variation from bottle to bottle. How much variation? We were lucky enough to try this spirit drawn from two different casks — adjacent ones, in fact. The results might surprise you. Read on. All bottles are 95.6 proof.